Picture a small desktop computer in your mind. Even today, they are fair sized rectangular boxes that take up a considerable amount of space on the desk or underneath it. Now picture a mini PC… Is it just a tad smaller than the desktop? 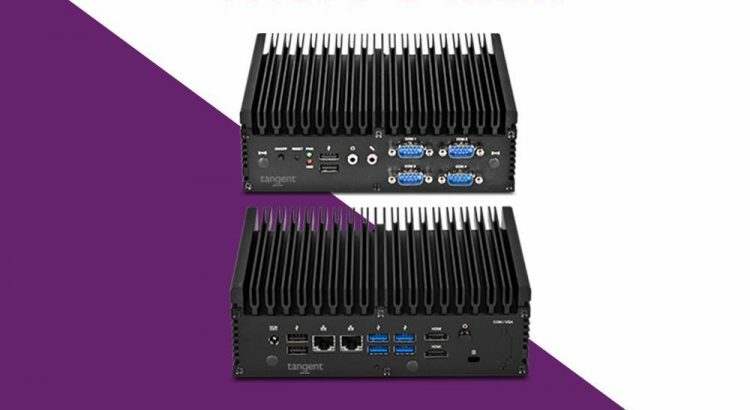 With Tangent’s line of industrial rugged mini PCs, you’d have to imagine quite a bit to approach the reality of their diminutive size and the fact that they are still full featured PCs. 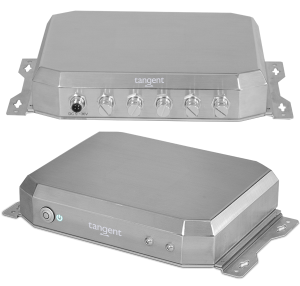 Tangent’s Rugged Mini O PC is a fascinating little computer with a fully stainless steel and waterproof housing that is rated at an IP69K. Because of its threaded sealed ports, external devices plugged into the ports will not introduce water or dust into the unit. The mini PC also has plugs for the ports when they are not being utilized to ensure protection from water and contaminants. A solid state drive and passive fanless cooling technology make the mini PC a perfect candidate for work areas that require extremely sanitary conditions, areas where dirt or high moisture is common, or any industrial environment where space or contamination is a concern. It’s a great PC for places like the Los Amigos Biological Station in the jungles of the Amazon in Peru, or even at an outdoor venue in Hilo, Hawaii where rain is a near daily occurrence. For those needing a computer in the most compact of spaces, the Rugged Mini L2 PC is one of the slimmest of them all. This super mini PC weighs a paltry amount at just over five pounds, with a thickness of just 1.3 inches. It can easily be mounted underneath a desk, in a luxury car, on industrial vehicles, in AV closets for conferences rooms, and anywhere that has limited room but still requires a reliable and durable computer. 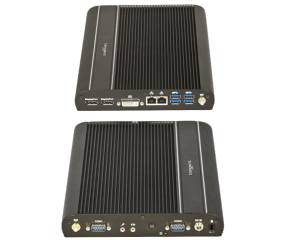 Even with it’s tiny size, the L2 mini PC still manages to provide 12 I/O ports including 3 display ports and 4 USB ports. The PC can accommodate wireless internet access, 16GB of memory, 2TB of storage and has shock and vibration resistance. It’s hard to believe all of these features fits in such a small computer. So the Mini O is great for those needing a water tight system, and the L2 is a perfect fit in tight spaces, but what about extreme temperature environments like the cold of the frozen north or the heat of the desert? 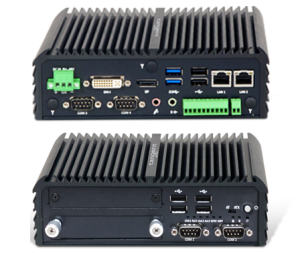 The Rugged Mini E2 PC was constructed to easily withstand extreme temperatures from -40°F to 158°F. Protection for -40°F may seem like overkill, but just this year, those temperatures were recorded in the high north of Minnesota and Wisconsin, and that’s a normal winter temperature in very remote places like Grise Fjord, Nunavut, Canada. The temperature rating makes sense in a place like that, but what benefits would a mini PC have there? The housing in Grise Fjord is quite sparse and small; even the airport is considered more of a shelter than a terminal, so aviation and computer equipment all have to be as compact as possible. In our world and in business, there are a great variety of environments that require specialized equipment to survive and succeed.